The lower end of Pownal Street is turning into a new Charlottetown restaurant nexus. For the past couple of years Tai Chi Gardens has been a singular oasis of calm and dumplings; now, two blocks down, comes Gusto, a European-style pâtisserie at the corner of Pownal and King in the old Haddad’s grocery store. I’m assuming that in the official “how to start a new business in Charlottetown” handbook, “residential pâtisserie” is not high on the list of prospects, which makes Gusto all the more delightful. 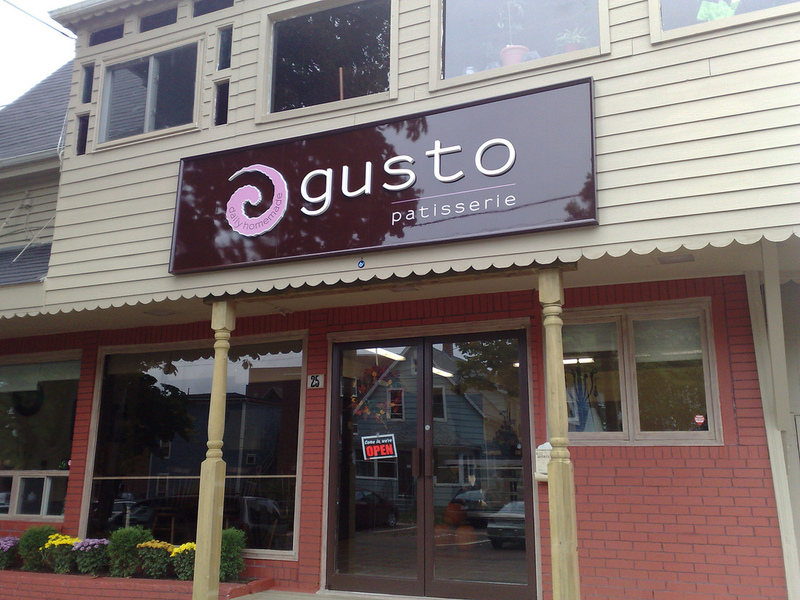 Like the German bakery Leonhard’s that opened on Queen Street last year, Gusto is setting out to make a market for itself, not to tap into an existing one. That’s gutsy and laudable. And also very tasty. 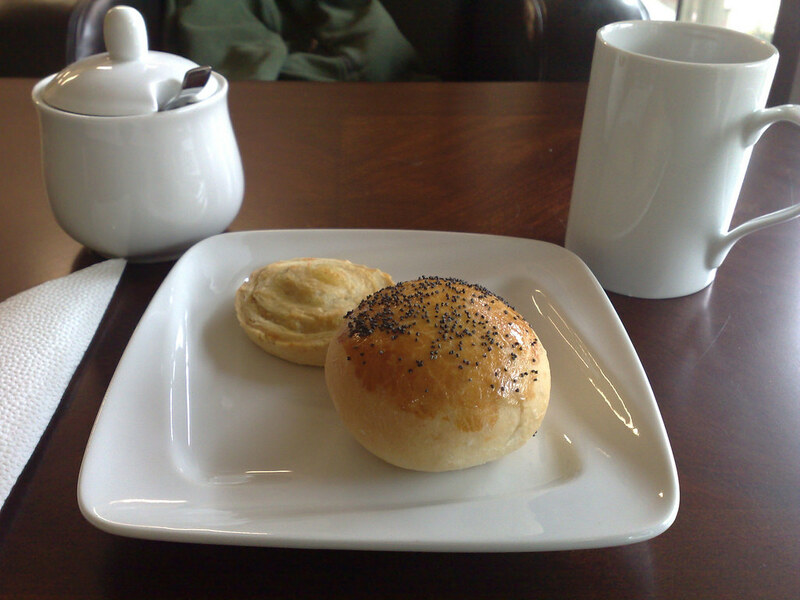 For my first visit today I had a pogača – a bun stuffed with ground beef and onions and baked that hails from my own ancestral old country, a potato roll (right out of the oven) and a very, very good strong cup of tea. Gusto is opening right now – subject to change – from 10:30 a.m. to 5:00 p.m. on weekdays, and from 11:30 a.m. to 4:30 p.m. on Saturdays. They have several savory options for lunch, serve coffee and tea, and have a panoply of sweets from all across Europe, from almond cookies to profiteroles. Written October 7, 2009 at 1:26 p.m. I love Leonhards, so I’ll definitely have to check this out as well. Downtown is really starting to become a nice place to be. If only something could be done with the Confederation Court Mall area.